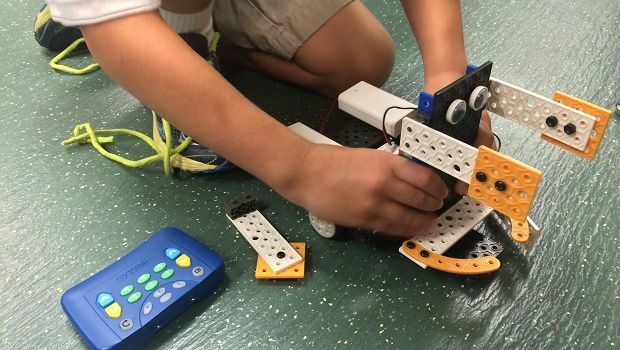 Save 60% Off ROBOTS-4-U Summer Camps | A Savings WOW! Disclosure: I received a gift card. All opinions are my own, honest opinions. Now is the time to start planning summer activities for your kids. Imagine the fun your kids will have learning about Robotics and Science, in an independent and exciting way! With Robots-4-U, campers have a BLAST, while learning and playing in a dynamic environment. The camps are one week (5 days) long from Monday to Friday from either 9:00-11:30 a.m. or 12:30-3:00 p.m. There is a ration of 1 Instructor to 16 participants. Each Camper Individually uses a ROBOTICS or DYNAMIC ART Kit. Robot kits do not go home with campers but are available for purchase! Use the coupon code TEX1660M15 at checkout to save 60% off your purchase at Robots-4-U (except for custom orders) through March 31, 2016. Register early as camps do fill up quickly! Robots-4-U: Where Fun, Thinking & Learning comes to Life!